Size: Required Choose Options 1/4 oz. 2.5 oz. 8 oz. 32 oz. 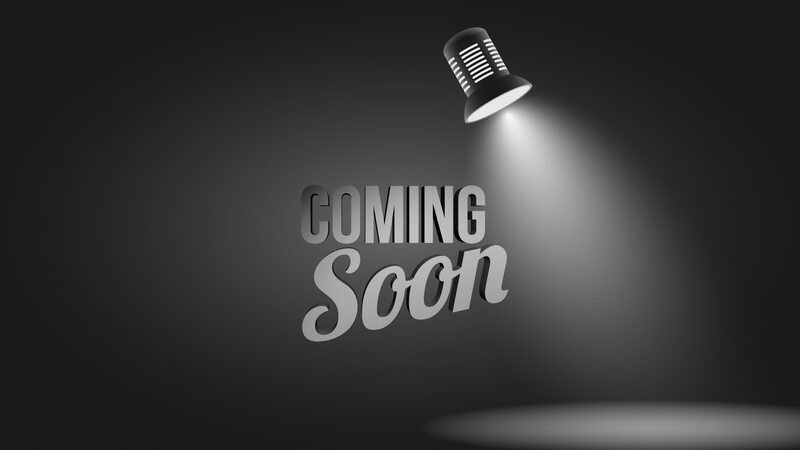 Originally formulated to minimize scar tissue formation following surgery, REPAIR can help to reverse the scarring process and diminish most types of newly-formed scar tissue. 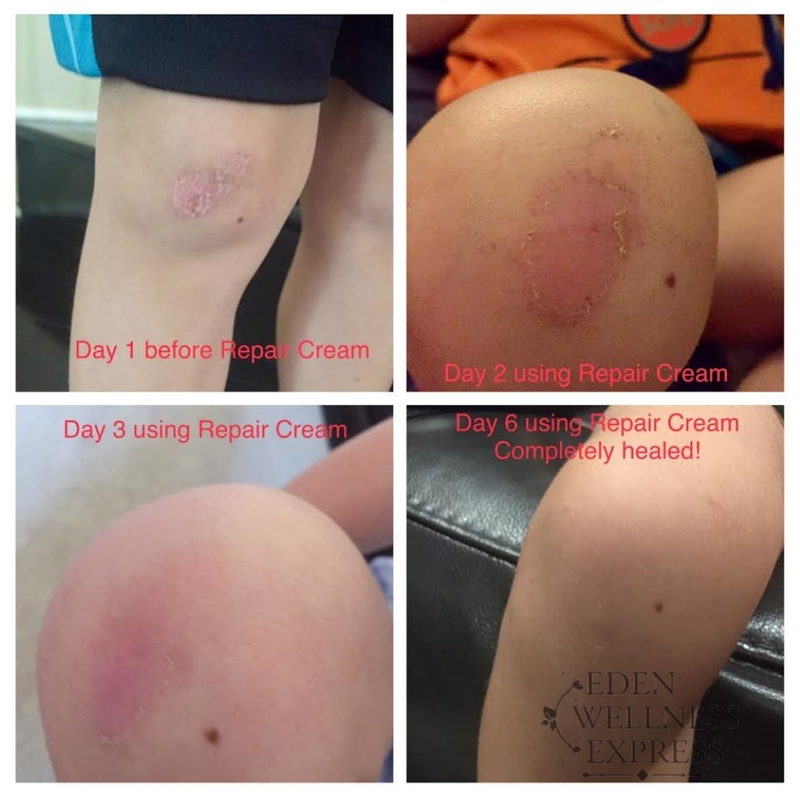 REPAIR helps with all types of dry and damaged skin, including burns, scars, eczema, psoriasis, stretch-marks, abrasions, poison oak, poison ivy, and sunburn. This amazing cream combines the most powerful natural tissue re-builders available. It is chemical free and safe for use on any type of skin. REPAIR has the ability to penetrate up to 25 cell layers to moisturize and provide nutrients to help damaged skin naturally restore itself. For best results apply to problem areas several times a day. The cream should be used once or more daily, until problem is alleviated. The repair cream is Neosporin on “speed”. Once I found out it was antibacterial and antimicrobial I threw out my Neosporin and opted for a natural remedy. 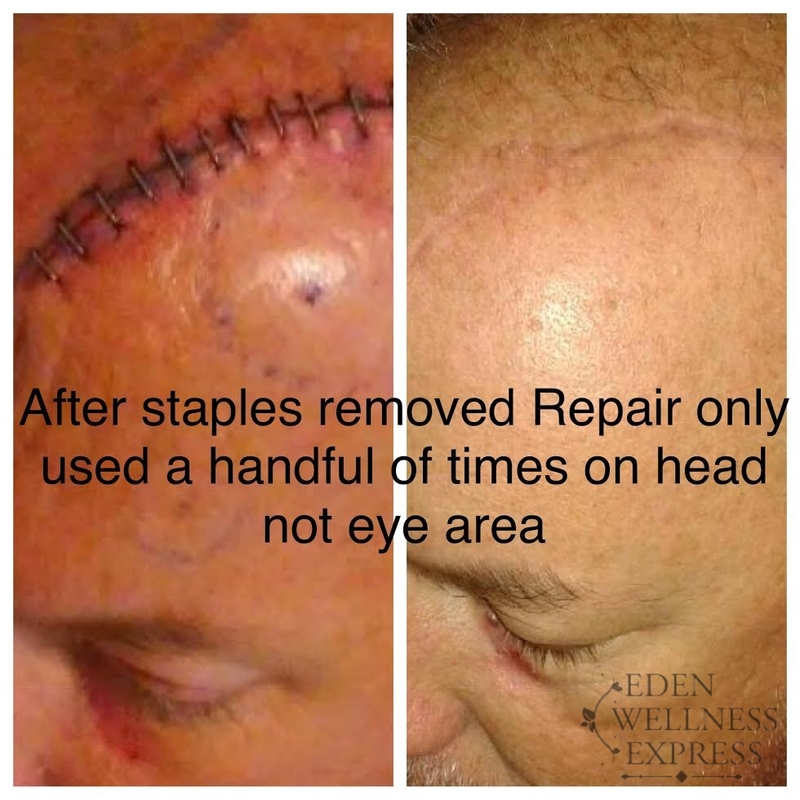 I have used on everything from my c-section incision to dry skin and cuts and bruises. It’s AMAZING! Smells great and heals like a miracle. 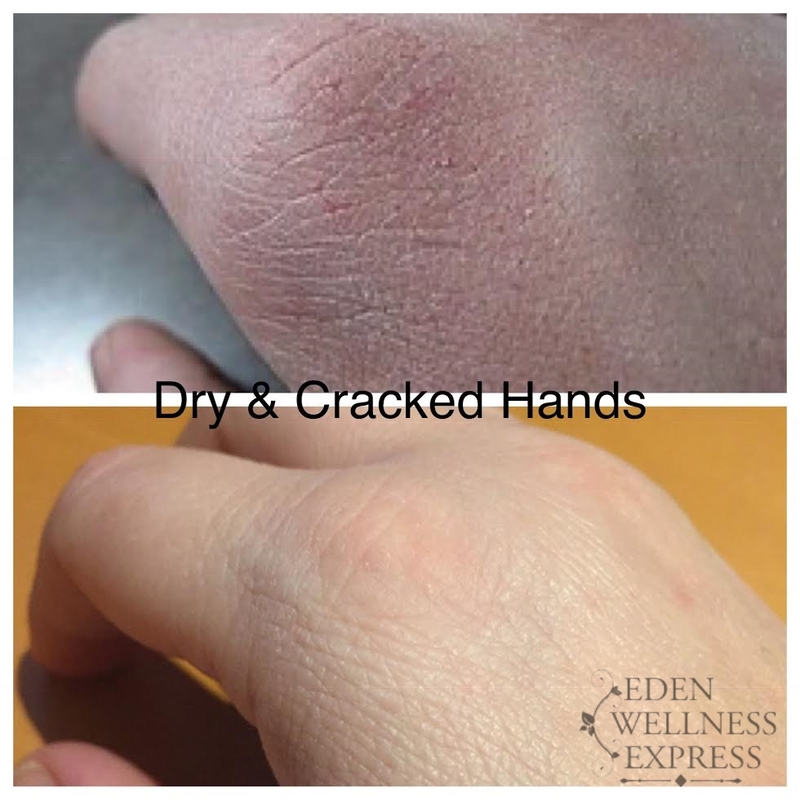 During the Fall & Winter season every year I get dry cracked hands that bleed. It’s painful and embarrassing for them to look this way. I used the repair cream every night before bed and after washing my hands during the day. 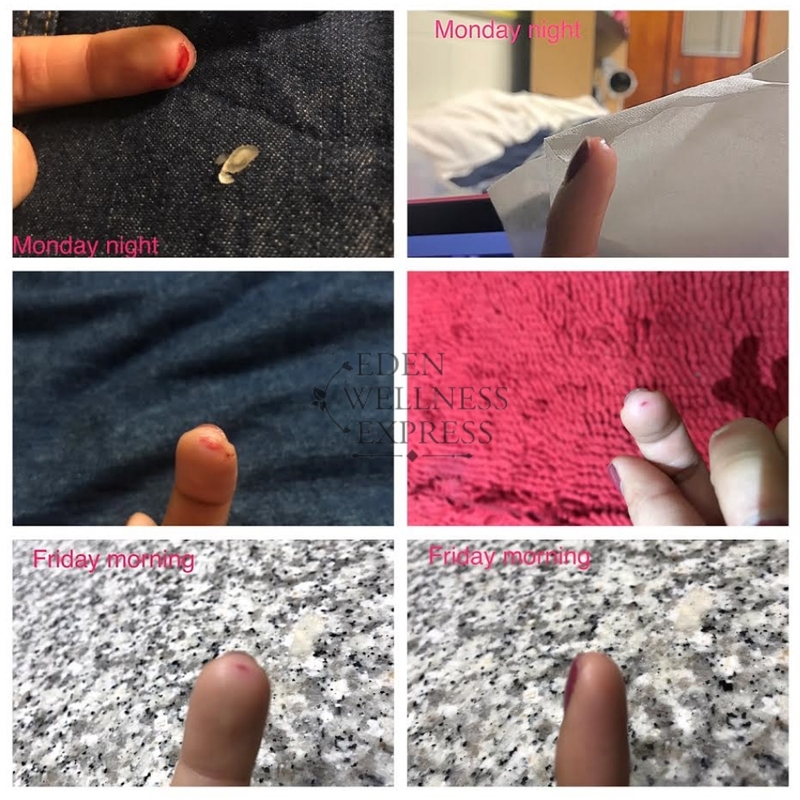 My hands improved dramatically every day and by the 5th day they were back to normal. I continue to use two times per day and so far my skin has looked great! 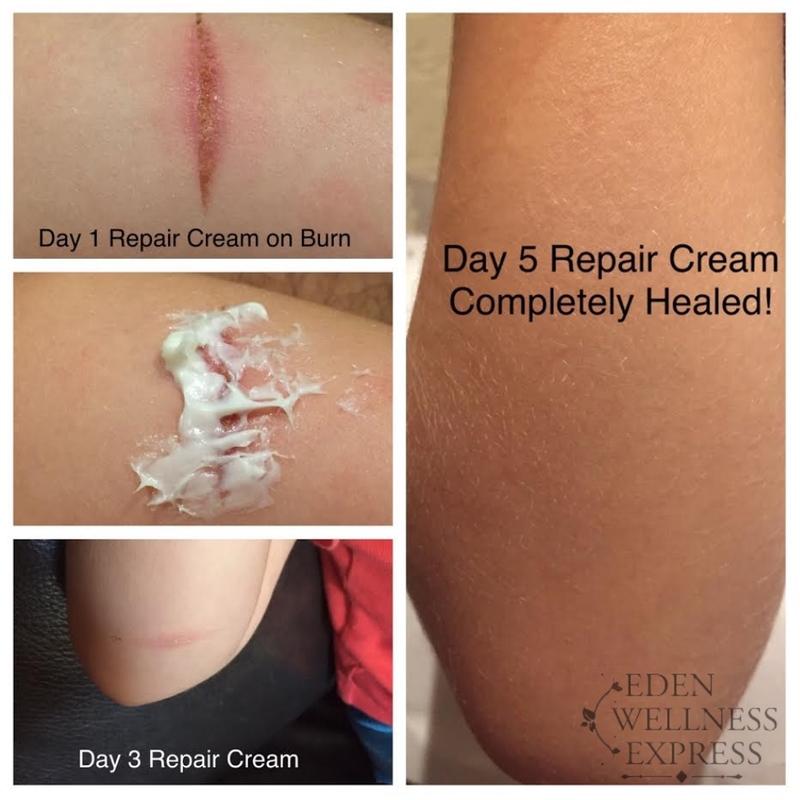 Repair is an AMAZING skin healing cream. Works wonderfully on scars. My husband uses I faithfully and swears by it!! Ohmg, this is one of the most amazing products out. I had almost 3 degree burns on my fingers, I wasn't going to be able to work. Kid you not less than a week besides the redness you would never know I had these Burns. I mix this stuff in with my moisturizers , sound crazy but I have all my friends using it , great guys facial stuff too ,this is a one-stop-shop great product. Repair is awesome name because that what it does. I slather it on everything!!! This is a MIRACLE cream!!! I've been purchasing this for over 20 years. I've used this with great success on burns, dry skin, cracked lips, stretchmarks, my daughters eczema, AND my animals. Can't be without! Hydrates and repairs compromise, dehydrated, irritated skin. Great on closed cuts, post surgery incisions, kitchen burns, eczema, psoriasis- you name it! Concentrated with RNA and aloe, it's soothing and healing. Much more effective than occlusive products containing mineral oil, Repair Cream rebuilds and strengthens the skin. I've seen proof before my eyes at how it helps diminish scars post surgery and post intensive skin resurfacing treatments for skin cancer. I am a HUGE believe in this cream and recommend it to everyone, regardless of skin type, when they need help with a compromised barrier.